Privy Garden at Ham House, National Trust. Author Photo. 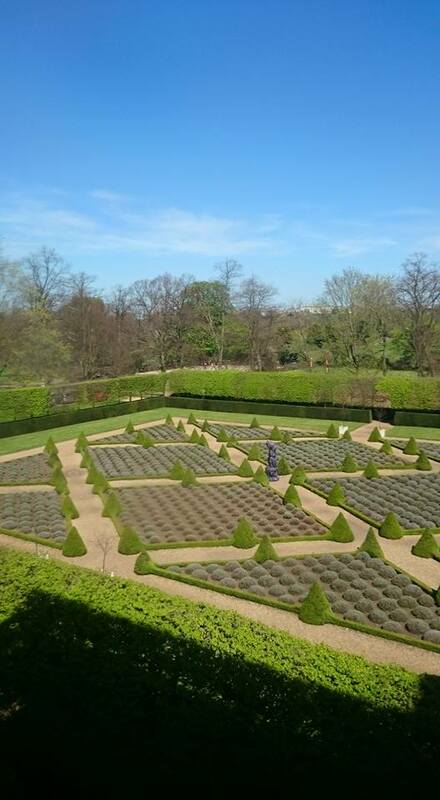 The 17th-century parterre garden at Ham House (pictured above, left) was reconstructed by the National Trust no doubt with both sight and smell in mind. The National Trust presents the garden as its owner Elizabeth, Duchess of Lauderdale, would have seen it in the late 17th century, a visual experience of regular lines and pleasantly mixed colors. There is, of course, a large kitchen garden on the other side of the house, but this, the private garden of Elizabeth, was to be used by her for solitary contemplation and chats with selected guests. When the lavender is in bloom, the scent must be striking. Margaret Cavendish’s Lady Happy from the comedy The Convent of Pleasure (1668) orders a garden that is similar to Elizabeth’s at Ham House. Lady Happy’s general view is that house and garden should “not vex the senses but . . . please them” (Act 1, Scene 2). Lady Happy’s garden is to be filled with pots conaining orange trees (Act 2, Scene 2). The long terrace at Ham House, constructed a few years after the publication of Convent of Pleasure, is these days described by tour guides as a place that was adorned with potted orange trees. Wilderness at Ham House, Author Photo. Something about gardens filled with beautiful sights and enchanting smells seems to have tempted Cavendish to create in Nature’s Pictures (1656) an unusual narrative, one that involves a surprising twist. In a verse tale, a virtuous young lady tells of a beautiful woman who lies on the ground of a garden and smells the flowers but does not pick them. The other ladies in the garden do pick flowers as well as fruit. The ladies fill baskets with what they pick, but the beautiful woman, one might say, communes with nature in a way that would be understood by the English Romantic poets. Was loath to crop their Stalks in their full prime. That through her Nostrils those Sweets might find way. With a more lasting and a sweeter scent. Cavendish locates the beautiful woman in a garden rather than within nature as untouched by human hands — say a forest glade. 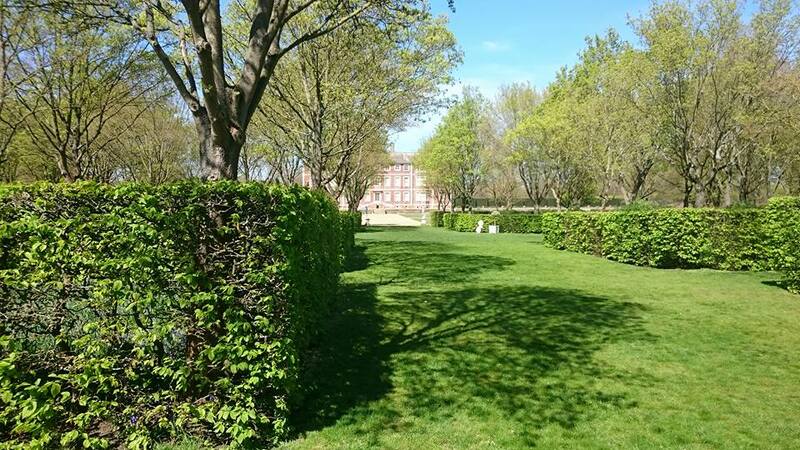 But the beautiful woman’s garden is probably a “wilderness” like the one at Ham House (pictured above and to the right). 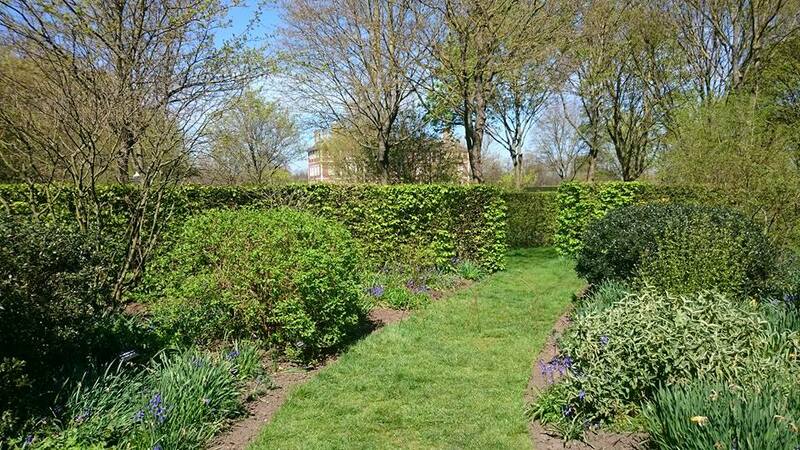 A wilderness is much less ordered and markedly more “natural” than a parterre garden, but it is managed by gardeners. The beautiful woman’s death is unexpected, but what happens to her body after she has died adds a genuinely surprising twist to the narrative. And sung her last sad Funeral-Song of Love. That Odoriferous Corpse lying upon her. And added Sweets to those it did renew. Best Poets Verse and gild every Line. “Odoriferous” undoubtedly means “sweet smelling.” Cavendish’s readers would have known of saints’ lives in which holy people who have died smell sweet rather than the reverse. Cavendish is no serious hagiographer, and, instead, plays with traditions of religious lore in startling ways that are reminiscent of John Donne’s poetry. In an image that would have outraged Puritans and would have been found unsettling by others, the beautiful woman’s bones are transmuted into religious relics of a sort. 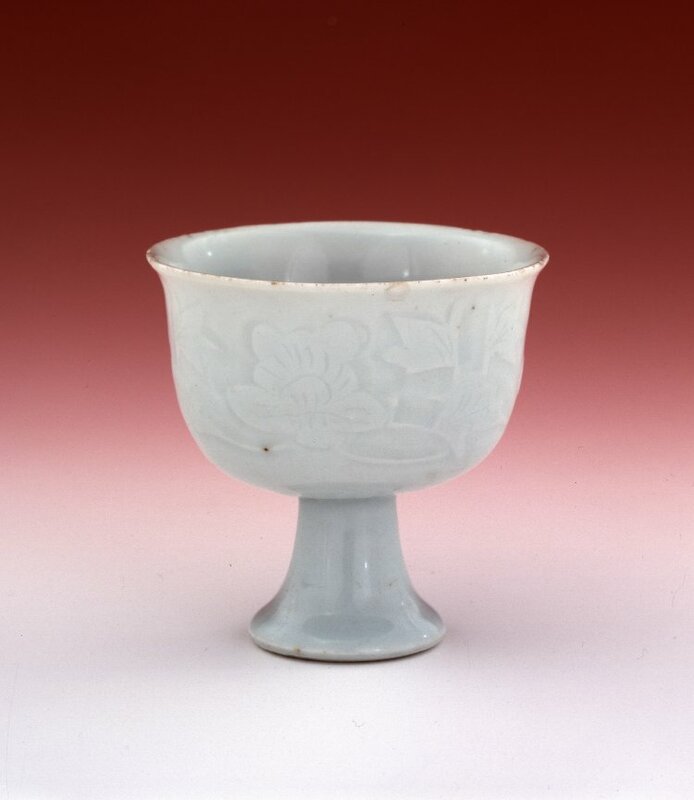 The bones are used by the “curious,” that is the “skilful,” to make porcelain, which was valued for its translucency. Perhaps as surprising as anything to be found in Donne’s poetry is the oblique suggestion that the beautiful lady, in addition to returning to nature as her flesh becomes “dew,” is metamorphosed in her bones into a lovely piece of Chinese porcelain (see example, above and to the left). By the way, European porcelain had not yet been perfected, though in the 17th century the “curious” were hard at work experimenting with various materials. Josiah Wedgwood found success as an experimenter and wealth as a producer of English porcelain, but this is a tale of the 18th century. This poem of a garden full of pleasant sights and smells thus ends with a surprising twist, or perhaps, set of twists, but it also takes a complicated stance regarding the problem of art and nature. The beautiful woman’s body is returned to nature where it helps to generate sweet-smelling flowers, but, as she was in life a poet, her “dust” becomes an aid and an ornament to be used by poets who live after her. The transitory existence of the lovely and perfumed flowers that grow from her, of course, contrasts with but is not subordinate to the permanence of the porcelain objet d’art. In short, both art and nature are given their due. Cavendish is having a bit of fun here, but she writes a good deal about young women and had about her a set of waiting ladies. The waiting ladies, who are given some attention in Blog 16, do not generally succumb to green sickness in her writing. Rather, they can be quite irreverent as they converse among themselves about the marriage market and other matters. In The Unnatural Tragedy (1662), a group of such young women, called (perhaps ironically) the Sociable Virgins, agrees that they do not like reading Homer because of his descriptions of animal sacrifice. We living today might not expect to find young women of the 17th century discussing Classical authors, but Cavendish actually spent time reading with her waiting ladies, and she suggested at one point that such reading is a sort of useful work. A key word that the First Virgin uses is “nice,” and it is probably there to tip us off to her being character with a nice, that is, finicky, appetite. That said, Cavendish really does dislike the smells of surfeit. In the first part of The Matrimonial Trouble (1662), a maid offers an extreme example when she describes how her mistress must share a room with a man who has been sick from drink. One does not need to become sick to the stomach to create stench, however. Lady Sanspareile in the second part of Youth’s Glory, Death’s Banquet (1662), brings up a favorite topic of Cavendish — loutish husbands who reek of alcohol. It is interesting to compare Cavendish’s understanding of smells of food, drink, and overindulgence with what is to found in Netherlandish art. 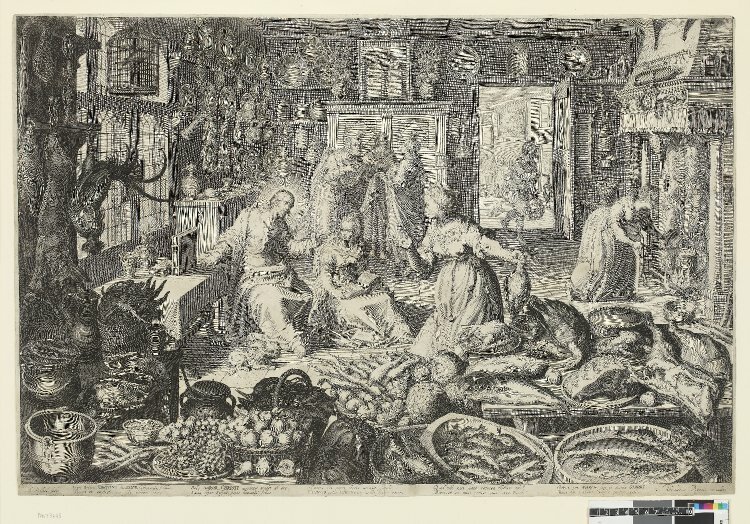 As a long-time resident of Antwerp and a friend of the art-dealing Duarte family, she would have been aware of kitchen scenes in prints (see above, right) and oil paintings. 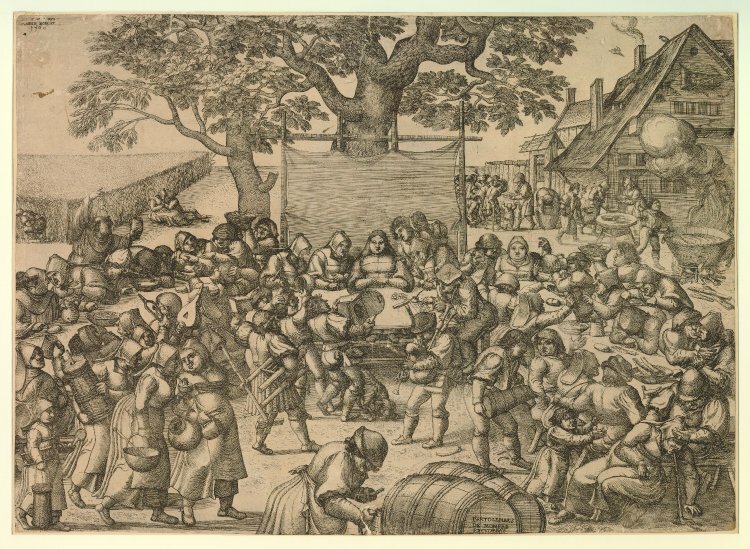 She also would have seen representations of drunkenness, especially in connection with peasant weddings (see above, left). In the world of art historians, there is some disagreement about the importance of religious interpretation in such art — or the lack thereof. I doubt that Cavendish wanted to teach any moral or religious lessons. There are many places in her writing, however, where one can find warnings issued to women against marriage because it is difficult to know which men will be loutish once married. At the same time, loutishness can have a certain Rabelaisian appeal in literature and art, an appeal that is to be found here and there in Cavendish’s drama. For instance, Madam Passionate in Bell in Campo (1662) is a wealthy widow who is courted by two young fortune hunters, who must endure the “wind” that “rasps” out of her body if they are to have any chance of securing her fortune. In both Shakespeare and Cavendish, bone is transmuted into beautiful object. And in each case there is added complication. In Shakespeare’s play, Ferdinand’s father is not dead, and what the song says is untrue. In Cavendish’s Nature’s Pictures, the young lady who narrates the tale of transformation of the bones disappears from the frame of the tale, or, one might say, the frame itself disappears. The tale no longer seems to need a narrator, or perhaps the teller and the main character fuse into one. Finally, in both Shakespeare and Cavendish, collectable pieces of art are foregrounded. 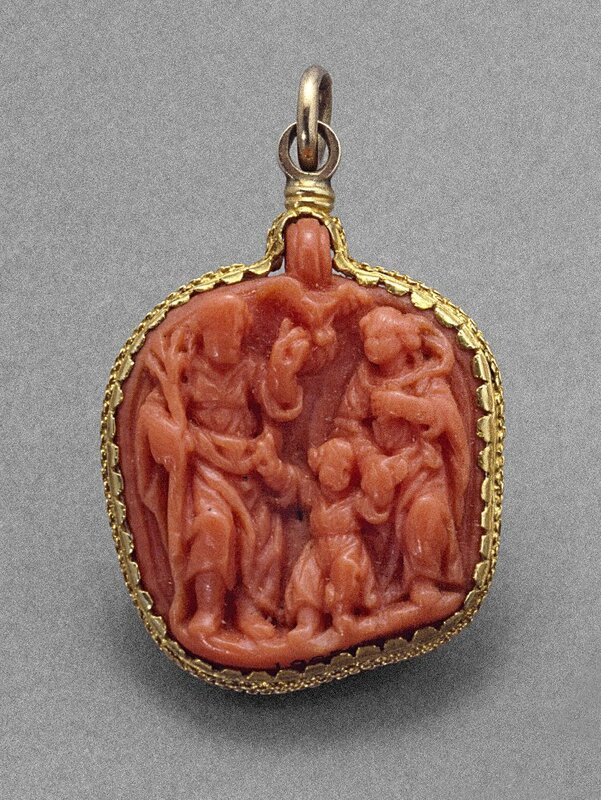 Nearly all country houses of the 17th century contained both Chinese porcelain and hand-carved coral. Such is the case with the collections at Ham House, where examples of porcelain are currently on display. Ham House, South Front. Multiple Wildernesses Are Enclosed Behind Hedges. Author Photo.